UDA Technologies is a leading provider of construction productivity software for small and medium sized construction firms worldwide. Our software tools manage over 32 billion dollars of construction annually in the U.S. alone. As a pioneer in construction technology, UDA Technologies has the enthusiasm of a growing, dynamic company and the power of an established market leader. We're looking for ambitious, inventive individuals to join our team in creating and promoting innovative technology solutions for the construction industry. You'll have the opportunity to participate in creative debate that fosters the entrepreneurial spirit, and enjoy an imaginative and open environment that we believe is crucial for the continued success of UDA Technologies and it's employees. Looking for a rewarding career or position that gives you a chance to make a true impact? Join forces with UDA Technologies. We believe great people are key to success, and we're always interested in exceptional candidates who posses creativity, intelligence, and drive. Search job openings below for your next career move. 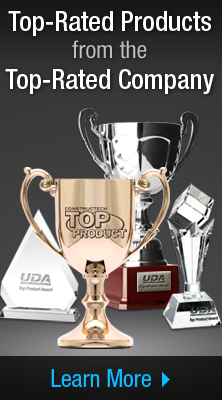 If the career you're searching for isn't listed, write us and tell us what you could do for UDA Technologies. Great people are key to success, and we're always interested in exceptional candidates who posses creativity, intelligence, and drive. UDA Technologies is a leading provider of construction productivity software for construction professionals in the U.S., Canada, and over 60 countries worldwide. Designed for small to medium businesses, UDA project management and construction estimating software manages over 32 billion dollars of construction annually. UDA Technologies was one of the first companies to capitalize on opportunities for small to medium construction businesses and has sustained industry-leading double digit annual revenue growth. Identified as a key partner in construction software technology, UDA Technologies is a Microsoft Developer and a Premier Intuit QuickBooks developer.